Looking for a little shade? Our Treasure Garden 7.5' Commercial Octagon Patio Aluminum Umbrella offers a substantial amount of coverage for your outdoor commercial space, pool or lounge area. 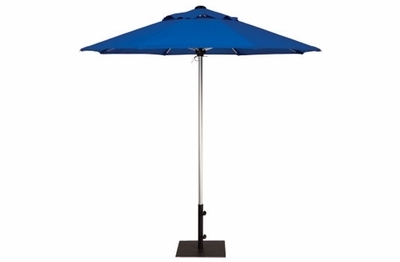 At 7.5 feet, this heavy duty patio umbrella easily shelters a sizable area. This high quality outdoor umbrella is both sturdy and durable and will retain its beauty from season to season. With its variety of fade resistant colors there is sure to be one that will match your outdoor decor elegantly. This commercial grade umbrella is sure to impress all of your guests with its functionality, sophistication and style. A must have addition to your commercial outdoor patio. * Shade Size: 7.5 ft.
* Coverage: 44' sq. ft.